We started our trip by checking and packing all the gear needed, and our guides prepared and packed all water and food for the trip. 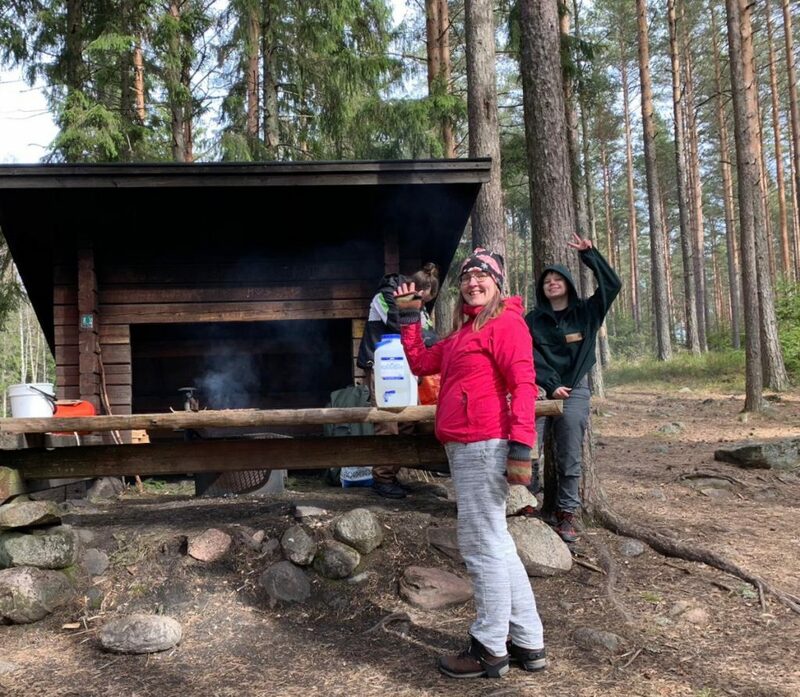 Teijo National Park has a many lean-to shelters and fireplaces for camping with firewood available, but our guides had selected Endal lean-to shelter as our base. We parked the car at Miilunummi parking lot on Wednesday morning and left most of the gear still in the car as we would come back to pick them up and carry them to the Endal shelter after our first hike. The trails were somewhat slippery and snowy, and we all had ice bug shoes. On the first day we hiked approximately 11 kilometers along the trail around Lake Puolakkajärvi and had trangia lunch at Välioja fireplace. Our guides also took us off the trail as orienteering was part of the skillset they had to demonstrate for the school. We returned to the car to pick up our sleeping gear, rest of the food and water cans, and carried them to the Endal shelter nearby. For dinner our guides prepared delicious fish soup with vegetables that they had dried earlier. Two of us opted to sleep in a tent, two decided to sleep in the lean-to shelter and two had chosen hammocks. On the first night it was few degrees below zero (Celsius), but the lean-to shelter wasn’t cold at all with 2 layers of clothing, a beanie, a winter sleeping bag, and a space blanket underneath. On the second day we hiked approximately 5 kilometers along Lake Matildanjärvi to the village of Mathildedal. 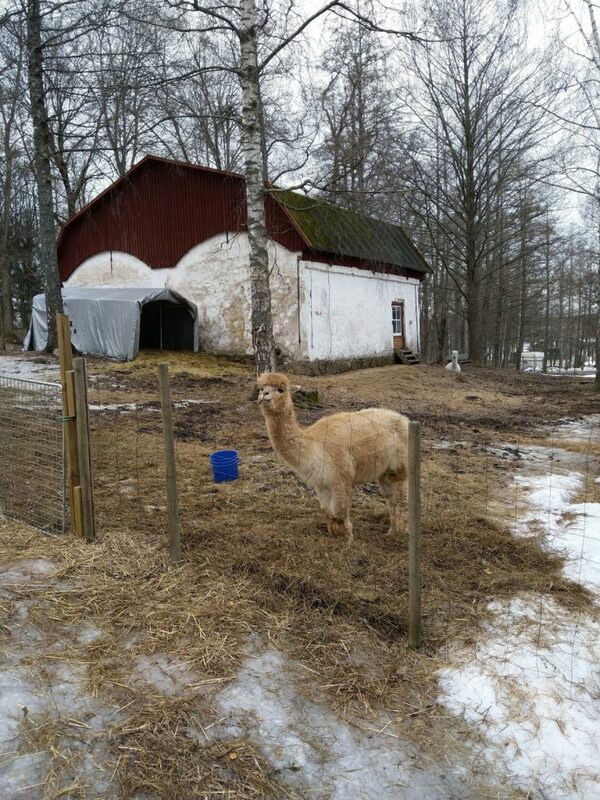 At this time of the year the village was pretty quiet with hardly anything open, but our guides had organized us tours at alpaca fiber mill and Mathildedal brewery. The owner of the brewery said they are very flexible with opening times and wholeheartedly welcomed us for the visit. Between the visits we had trangia lunch at Mathildedal, and then hiked back to our camp. Our guides had a tent sauna with them but as we arrived to the Endal camp pretty late in the evening, we decided to focus on dinner instead of starting to heat the sauna. For dinner our guides had prepared meat with vegetables and noodles. Everyone could choose what they want to add into their soups from these ingredients. We sat by the fire in the evening, and slept well also on the second night, which was a bit warmer than the first night. In the morning it was time to head back home after refreshing and relaxing time out in the nature. 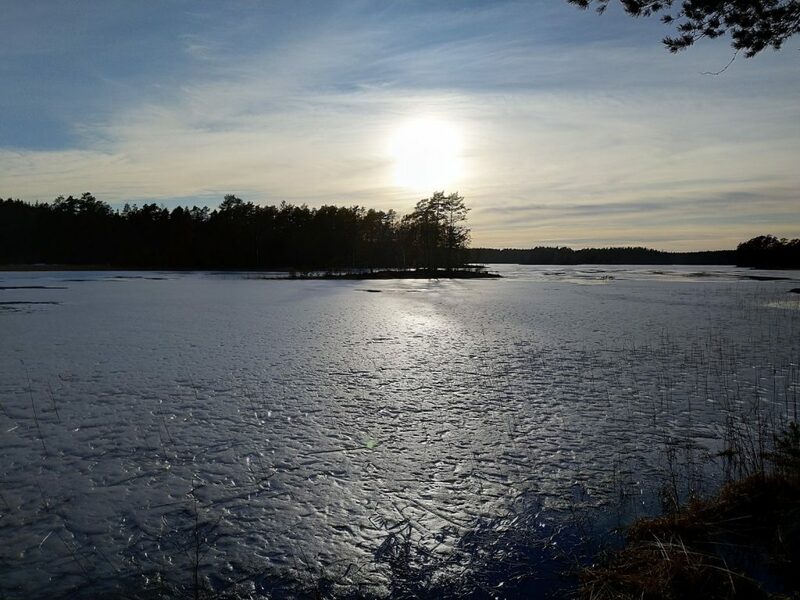 The nature at Teijo National Park at this time of the year was in winter mode but we could see that there is a lot variety in the scenery. There are swamp areas with duckboards that are in excellent condition. There are these beautiful lakes that probably provide good fishing and swimming opportunties in the summer. There are proper forests and also some nice viewpoints. 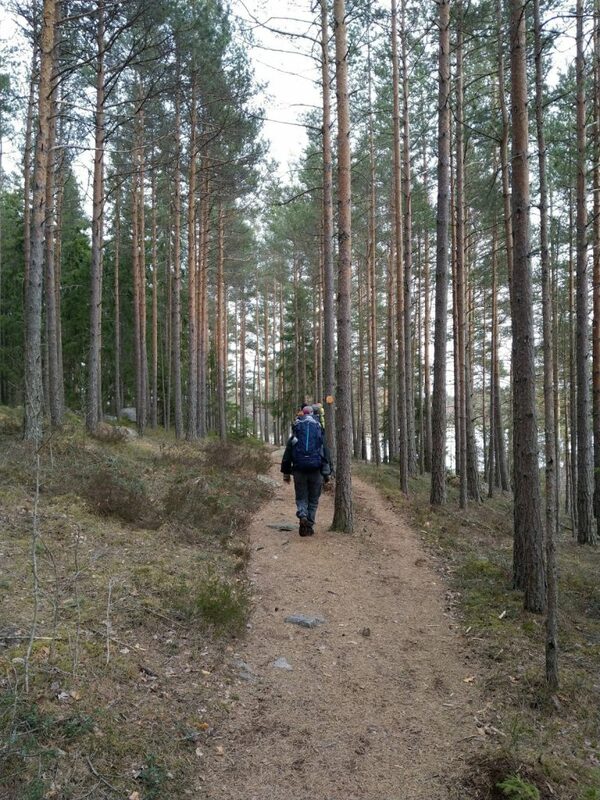 The trails at Teijo are well-marked and easy to follow. We could already hear and see many birds such as swans, cranes, a great spotted woodpecker and a common chaffinch. I have already decided to go back to Teijo National Park this summer to see how beautiful it is at a warmer time of the year. 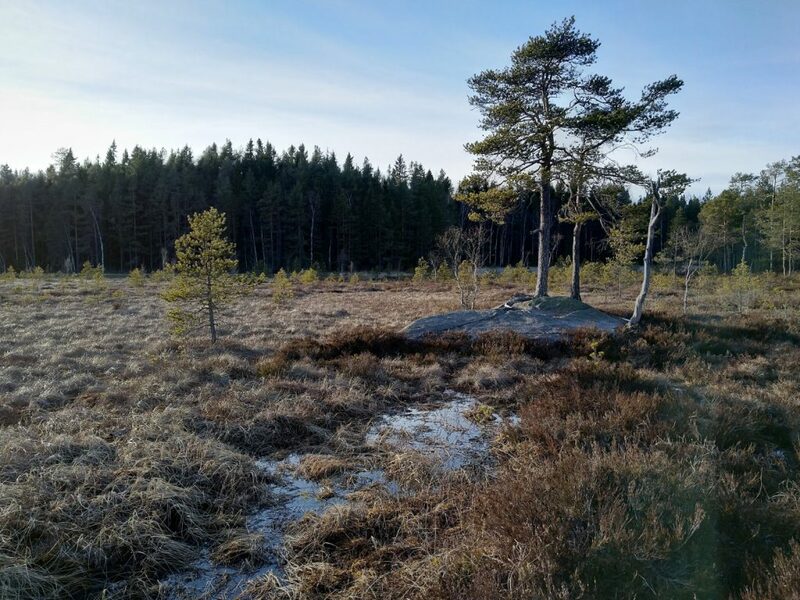 There are ten different parking lots to access Teijo National Park, and many trails and lean-to shelters in the area. I recommend downloading this map provided by Metsähallitus when planning your trip to Teijo. Go and see what this amazing national park has to offer!